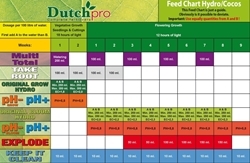 Dutch Pro has created a whole range of nutrients dedicated to promote the growth of strong healthy plants. Dutch Pro Original Bloom is suitable for use in hydro and coco; it is a two part nutrient for use during the flowering phase of growth. 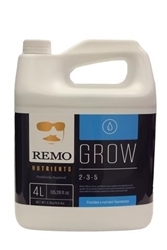 This A&B formula is for use with soil containing all the essential macro and micro nutrients which help support plants maintain and establish luxurious, large fruits and blooms.  Trace Elements give your plants small amounts of necessary fundamental elements which work well with the mix of macronutrients such as Nitrogen, Magnesium, Calcium, Potassium and more. 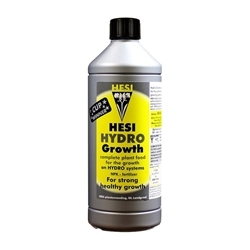 This fine blend gives plants what they need to thrive and maintain growth without deficiencies. 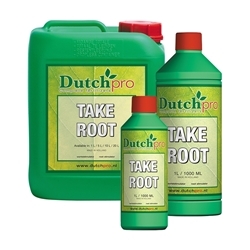 A strong healthy plant is less likely to suffer from disease and pest attack. 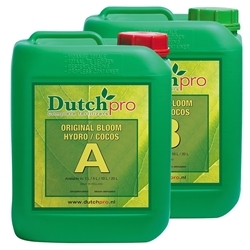 Therefore, it is important to give your plants a strong base bloom nutrient such as Dutch Pro bloom to ensure your plants reach their full potential.